One of the most harmful and common substances to greatly affect people’s health is lead. 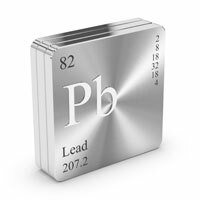 Lead is a carcinogen which can be found in some percentage of most everyday materials. Varying forms of lead exposure can come from paint in older homes, dust, soil, and drinking water. To avoid health risk, individuals should take precautions to reduce or eliminate the possibilities of exposure. Ensuring and minimizing livestock and poultry exposure to lead contaminants helps to reduce human exposure via the food supply. One of the highest consumed meats is chicken (poultry). Many chickens are housed within coops that have automatic feed and watering systems. To ensure that they always have fresh water, it is common to run pressurized water lines into the chicken coop. The water lines are typically small and operate at a low pressure. Pork and beef are also at the top of the list of meat consumed by modern society. It is common to have automatic watering systems for large-scale hog and cattle housing. 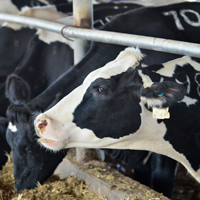 Hogs and cattle consume high volumes of water, requiring larger watering systems with large lines operating at much higher pressures due to pumping requirements. Devices are used to measure and monitor pressure within those lines to ensure the systems are working properly and water is flowing. The measuring devices usually come in contact with the water. Often, these contact surfaces are made of alloyed metals and it’s common for low levels of lead to be present in small quantities. 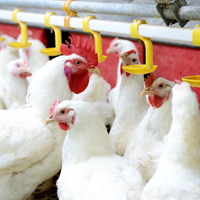 To ensure healthy livestock and poultry, pressure transmitters that can work well while reducing and eliminating the risk of lead exposure within the drinking water is an important consideration. By working to eliminate lead contaminants in drinking water for livestock and poultry, we also help eliminate lead within human food supplies. Selection of pressure measurement devices that are either plastic or have an NSF rating helps to eliminate the introduction of lead impurities into water systems. Next PostNext Ask the Expert – What are the differences between the Series 1950 and 1950G Explosion-proof Differential Pressure Switches?